A processing facility for electronic and electrical waste has been inaugurated in Yaoundé, the capital of Cameroon, on March 19, 2019. A project of the French association Solidarité technologique via its Weeecam project launched in 2017. 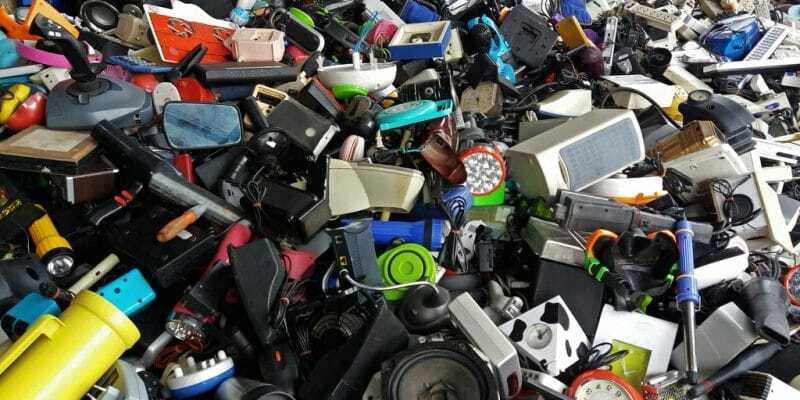 Five thousand tons is the annual volume of electronic waste that Cameroon will recycle through its new electrical and electronic waste (E3W) treatment centre. Located in Yaoundé, the country’s political capital, the centre was inaugurated on March 19, 2019, by the Minister of the Environment, Nature Protection and Sustainable Development, Pierre Hele, in the presence of the French Ambassador to Cameroon, Gilles Thibault. The Ewankan Centre, named after the district where it is located, is the first specialised e-waste and electrical waste centre in the Central African zone. The project is part of a vast programme called “Weeecam”, jointly run by the French association Solidarité technologique and the NGO La Guilde. Its implementation was financed by the Douala and Yaoundé urban councils, the French Global Environment Facility (FFEM), Ademe, the Paris City Hall, the Cameroon Bureau of Geological and Mining Research, Syctom (French Household Waste Agency) and the firm Total. The total cost of the Weeecam project, spread over a five-year period (2017-2022), is €6 million and generates 150 new jobs. The association plans to work with mobile collectors who will go door-to-door to help households dispose of end-of-life electronic devices. The collected waste will then be deposited in recycling centres for repair or recycling. According to the project leader, it is planned to “weigh, inventory and sort to separate what is actually expected to be repaired from those that are really lost causes. The repairable equipment will then be formatted, the memories erased, and then they will be put on sale at a very low price. ”Non-repairable waste, on the other hand, will be dismantled. The technicians will have to separate the fractions from the different materials that compose them. They will then be handed over to specialised recyclers who have industrial infrastructure. In the coming years, the association plans to build and equip a second 2500 m2 plant in Douala, the economic capital, and to open 12 waste collection points in Yaoundé and Douala, Cameroon’s two main urban centres.